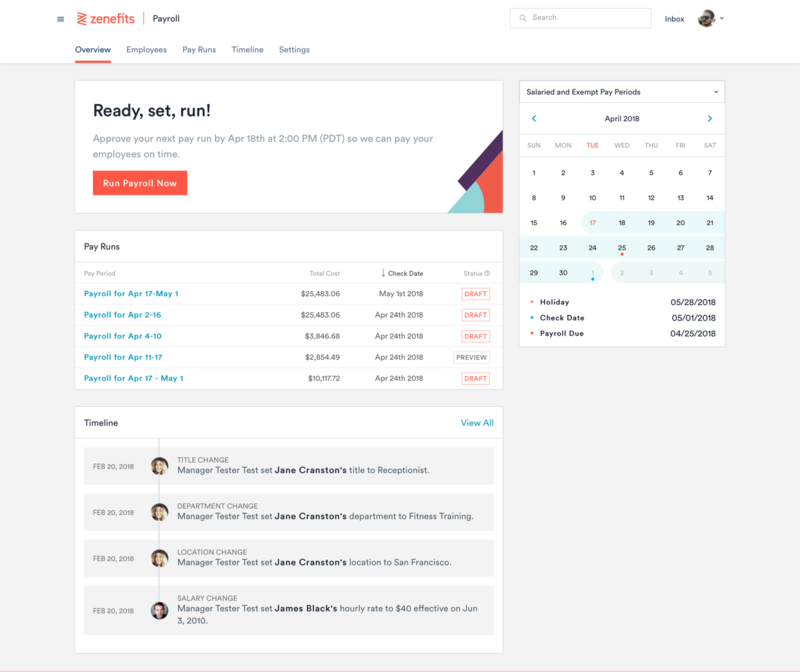 Currently, Zenefits does not integrate into our payroll system, we use ADPRun, they said that it will not integrate until ADP workforce-- when we get to 50 employees. We are happy that it is a paperless system, thinking back to our old FSA/Commuter provider Zenefits is night and day with ease. As HR/Recruiting/Etc at a startup, that makes my life SO much easier. It allows me to stop and go back and finish when I want to. I can run reports when I want to, no time limits. If I make a mistake it lets me know immediately. It makes our HR completely paperless and hiring and terminations are very easy Includes company org. With Zenefits you can leverage carrier pricing and you can see all benefit info online via an easy to navigate dashboard. Great place to have everything all in one (FSA/Commuter, Benefits, STD, Life, LTD). Accounting features. Our team manually set up the necessary reporting features to sync payroll data from Zenefits to our general ledger in QBO. It was an unexpected task during our implementation process. However, Zenefits has this topic on its 2019 product roadmap. Integrations. This may be more of our fault, but we have yet to capture the value we want from current app integrations on Zenefits. ADP is a great service that saves us time and money in supporting our payroll operations. Easy to use. Staff loves the moble app. Very happy with support and ADP team. We've had some issues getting our problems resolved but honestly we've had very few problems. We selected RUN because the sales representative was thorough in her explanation of the program. I can only compare to paylocity - and Zeneifts has way more features and is way more user-friendly/straight forward. I've recevied better feedback form zenefits users than paylocity users as well. Much better customer service, and the benefit administration is the biggest pro. From the time our organization moved from 2 employees to 10, we have used ADP. The cost of using the service has been minimal versus the value of the services provided. RUN allows us to use volunteers rather than paid staff to manage our payroll services. This is because RUN is time saving and easy to use. 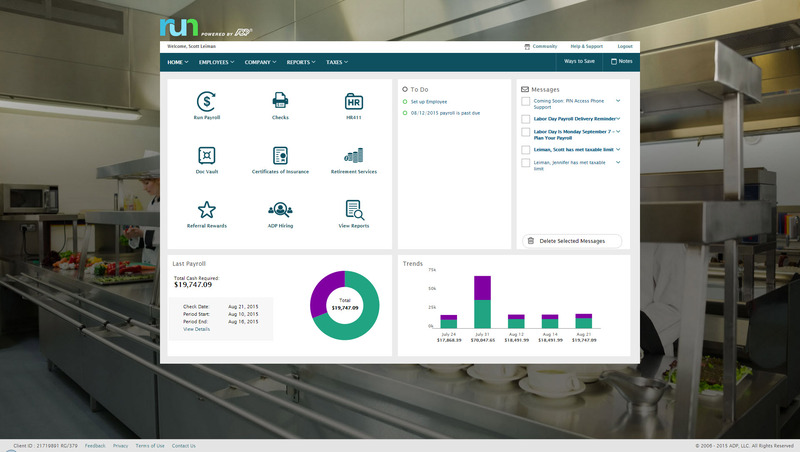 With RUN, we have minimal investment in the payroll process and this is especially helpful when it comes to doing research on payroll issues.